Even though Facebook has been the go-to source for social media privacy issues, it is by far not the only website to make privacy blunders. 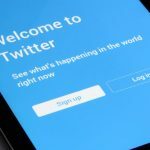 A recent announcement from Twitter informed users of a patched issue that allowed private tweets on its Android app to be seen even when the option was on. Twitter is a website that often relies on the social exchange between strangers, however, there is an option to protect your tweets so that only a select group can see what you say. One can imagine the irritation that can result from finding out that things you trusted to be said in relative privacy are seen by more prying eyes. We’ve become aware of an issue in Twitter for Android that disabled the "Protect your Tweets" setting if certain account changes were made. You may have been impacted by this issue if you had protected Tweets turned on in your settings, used Twitter for Android, and made certain changes to account settings such as changing the email address associated with your account between November 3, 2014, and January 14, 2019. People on iOS or the web were not impacted. We fixed the issue on January 14, and we’ll provide updates if other important information becomes available. We’ve informed people we know were affected by this issue and have turned “Protect your Tweets” back on for them if it was disabled. We are providing this broader notice through the Twitter Help Center since we can’t confirm every account that may have been impacted. We encourage you to review your privacy settings to ensure that your “Protect your Tweets” setting reflects your preferences. What really stands out from the notice is how long the issue went unnoticed by the website. To have a glitch like this dating all the way back to 2014 and just now fix shows a severe oversight in how Twitter functions behind the scenes. As great as avoiding social media would be, it can be an unfortunate necessity depending on your job or life situation. The best advice I can give is to be wary of what you share online. You never know who is watching. It's very important that social media accounts are save. Not only account data, but also older (tweet-)data.